THREE Bachelor of Engineering (Hons) Environmental Engineering students from the Faculty of Engineering and Green Technology (FEGT), namely Khor Jia Min, Ng Jit Jang and Chew Choon Tong were crowned Champion in the “Environmental/Wastewater Treatment/Biotechnology” category at the 4th International Biotechnology Competition and Exhibition 2018 (BCEX 18). The event was jointly organised by Universiti Teknologi Malaysia (UTM), Bioprocess Engineering Student Society UTM and Ministry of Higher Education Malaysia from 13 to 14 April 2018 at Dewan Sultan Iskandar, UTM. The competition focused on three main categories, namely “Environmental/wastewater treatment/ biotechnology”, “Biofuel/renewable energy” and “Green building/green technology product”. 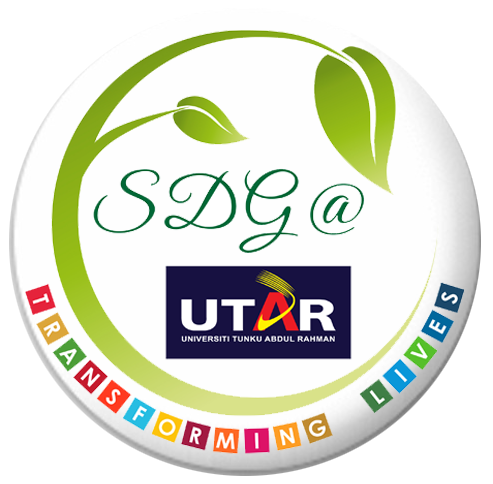 The students were required to present their innovative ideas that will contribute to a green and sustainable society. BCEX 18 aimed to enable participants to develop and hone their creativity and innovation through the competition, as well as to cultivate a culture of competition and sustainable innovation among the participants. Apart from gaining exposure to entrepreneurship, participants also benefitted from being able to learn teamwork, while cultivating attentive and inquisitiveness in problem-solving. “It was an unexpected win, but we were definitely happy to win that category. I believe it was our hard work that contributed to the success. We are very grateful to be given this recognition, more so, to be given the opportunity to learn from other teams and made new friends,” said the three winners. They received a trophy, cash prize of RM1,500 and a certificate each. Ng was also awarded the Best Presenter for the Role Play Competition. They also expressed gratitude to UTAR for providing a strong foundation that enabled them to learn and understand better about environmental engineering, as well as providing them with a supportive learning environment for them to develop skills to help them realised their full potential. They also thanked their Final Year Project (FYP) supervisors, Dr Leong Kah Hon and Dr Sim Lan Ching for motivating them to participate, with the intention for them to gain some exposure and experience before graduating. Their winning project was titled “Nanosized Quantum Dots for Water Remediation”. According to the winners, nanosized quantum dots are a newly developed nanomaterial that attracted much interest and attention as a sunlight sensitive photocatalyst. Carbon quantum dots and nitrogen doped graphene quantum dots have been synthesized through a simple and sustainable method. Optical absorption analysis revealed strong photoabsorption of visible and near-infrared light which covers almost 90% of the solar spectrum. This is due to its unique characteristics of excellent photostability, high electron reservation capability and renowned for its ultraviolet and blue to green luminescence. Therefore, these photocatalysts will enhance the photodegradation of various water pollutants under sunlight irradiation. This new discovery could offer a highly efficient and environmental friendly photocatalyst for sustainable environmental remediation in the near future as it has a high commerciality potential.